There are so many different variations and way to prepare seaweed, the combinations are endless. I have eaten seaweed before but I never have actually prepared it myself and so I was quite excited about creating a delicious meal for all the family with a little help from Seamore. 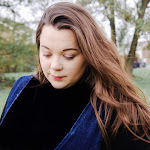 As well as sharing a recipe with you all, I also wanted to tell you a little bit about the Seamore pasta and what I like about it, along with a few quotes from Seamore, to give you a little insight into what their product is all about. 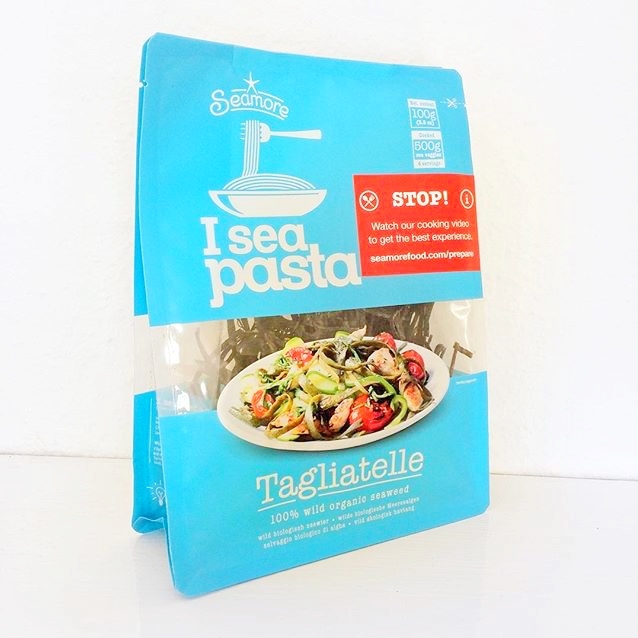 First, I thought that it would be a good idea to try and get a little understanding about Seamore and their pasta: “Seamore’s founder mistook seaweed for pasta, loved the experience and decided to fool the rest of the world. I sea pasta looks like tagliatelle but is 100% wild, handpicked seaweed from Connemara, Ireland. Our crowd-harvested I sea pasta is the equivalent of 500 grams fresh sea vegetables ready to be used as pasta, veggies or anything in between. It is not only great for your taste buds and health but also for the planet.” It can be used as an alternative to the carb loaded pasta and is full of minerals, nutrients, vitamin and antioxidants. Once more, it's completely natural and only needs sunlight to grow. Only 15% is farmed at a time, meaning that it grows back and is 100% sustainable. When I first opened the packet, there was a slight smell of 'sea breeze', not only does this look like pasta, but you can pretty much cook and serve it in a similar way too. There are full instructions on how to cook your seaweed pasta on their website and the packaging. Now, it is recommended that if you’re a pasta addict and a little wary that for your first experience you may prefer using 50% sea pasta, and 50% normal tagliatelle. For the purpose of this review though, I felt it necessary to just try it the way it's intended. Soak for 45 minutes in cold water. No sea breeze but a lot of bite. Perfect for raw diets and salads. Soak in hot water for 20 minutes. Expect a slight sea breeze and a mild bite. Cook for 15-20 minutes, just like pasta and more sea breeze! For our family dish we soaked the seaweed for a little while then boil until soft. Just like we would for pasta. When it’s cooking it literally looks as though you’ve gone down to the seashore with a bucket and scooped up a pile of seaweed, it did smell more fishy throughout the cooking process. We then added a selection of veggies and a homemade tomato based sauce. For our recipe I have basically combined a load of colourful veggies, chicken and added in a really delicious home made tomato based sauce. I always cook all my sauces, marinades and dressings from scratch, and this one was fresh, sweet in flavour that brighten up the dish and add an amazing depth of flavour. The pasta did not look particularly appetising once cooked, but, as instructed it said mix with your favourite sauce. For me the thing that surprised me the most was the texture, it's exactly like pasta. I wasn't expecting that at all. If I am honest I thought that it would be slimy but it doesn't hold it shape and has a real bite to it. We all enjoyed it! I did expect the seaweed pasta to taste really salty, so I didn't add any seasoning but in fact it's just like pasta and therefore making the seaweed pasta more versatile. I do believe that we have found a great alternative that is great for you, tastes just like pasta but is not loaded with calories! Seamore is super tasty, a great alternative to the calorie loaded pasta. I feel as if the whole idea behind Seamore and it's creation is a unique one. The creators saw that the current modern food system was not great. There are some resources that are over used, not equally distributed and there is a lot of food waste and people often buy their food based upon the price rather than the quality. The world food is in trouble, there's less land to grow our food and the world mistreats the land do have. With seaweed you don't need land, fresh water, fertiliser or pesticides. It grows crazy on the sun and the nutrients in the sea can do great things for your body and a recipe. I feel as if this project to get people to eat more seaweed makes Seamore even more appealing. It's also great lower carb alternative if you’re looking to bulk up a meal; so you could use it instead or as well as your regular pasta or noodles. Not only do I think that seaweed can be incredibly tasty, but it’s also a good way to get in an extra portion of veggies and has a few special health benefits too! Our recipe for Chicken and Tomato Seaweed Pasta, can easily be printed out or pin for some inspiration at at later date. Enjoy! 5 comments on "A GREAT ALTERNATIVE TO PASTA? SEAMORE I SEE PASTA TAGLIATELLE"
Sometimes it's just a case of trying these things and getting used to them, isn't it? It certainly sounds a lot healthier that's for sure. I'm intrigued about the bacon...! Ooh these sound interesting. I am always looking for a more healthy alternative to pasta. Will be trying!